We have a variety of workshops and classes available. The list (and this page) is long, because we want to offer exciting topics that you want to learn about! Make sure you scroll through the entire page, so you don't miss an opportunity. Check out the activities that are available and sign up for the ones that interest you by registering online. ﻿PLEASE reserve a seat for the class that you are interested in. Preregistration is important to making sure that classes run. If you want to attend a class, please click the "Schedule Now" button and sign up today! Classes are being added constantly! While we try to keep this page as up-to-date as possible, check out our events tab on facebook for the most updated class schedule. Each month Jodi will be talking about herb and a special topic related to Cottage Witchery. Come join her for 2 hours of information and fun. Imagine for a moment combining the healing energy of Reiki and Shamanic drumming ! It’s uses include aligning chakras, aura cleansing, journeying, healing including ancestral, and an increase in the effectiveness of the Reiki that you currently use. I have also found Reiki Drumming to be an important tool in eliminating negativity, cleansing and shielding of spaces. 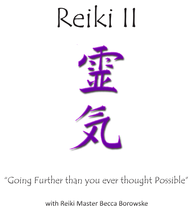 Available to Reiki II and above practitioners. 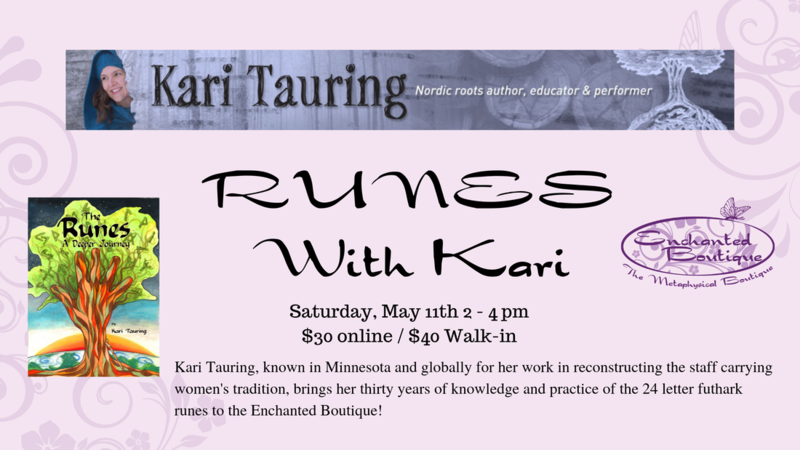 Cost of $150 includes symbols, attunement, manual, certificate and an 8+ hour class. Class size limited to 8. Must have an approved frame drum. There will be drums available for purchase. REQUIRED: Register online and pay the $50 deposit. The balance will be due the day of the class. Class facilitated by David Johnston Reiki Drumming Master certified by Michael Baird of Crystal Light Healing Studies in Sedona Az. Contact David Johnston 217-622-3733…Ddmccleod@aol.com with questions. Reiki Classes-- Usui, Celtic, and Holy Fire! Please note: All Reiki classes are pre-registration only. We will not hold a class without a registration by the Friday before the scheduled date. We are excited to be offering Usui Reiki classes taught by Rebecca Borowske who is a Reiki Master in several forms of Reiki. Usually held the first Saturday of the month from 11 am to 5 pm. We switch the level of the class taught each month, please check our registration system to verify the schedule. Learn about basic energetic systems, the History of Reiki, personal shielding, the first attunement and more. This class focuses on bringing Reiki into your daily life as a personal healing system while promoting relaxation and well-being for the mind, body, and soul. ​Class: $120 with online registration. Reiki II - Going Further than you ever thought Possible! Building from the fundamentals taught in Reiki I, new materials include advanced symbols and protocols, use of tools like pendulums and crystals, long distance healing techniques, and concepts of having your own Reiki practice. ​Class: $150 with online registration. PREREGISTRATION IS IMPORTANT!! We want to have an idea on how many will be attending each class, for some classes we need to plan on what supplies will be needed, and how to set the classroom up. So it helps to have you register for the class. We do accept walk-ins for most classes except where noted. Yes, we do ask for your credit card a the time of registering, this tells us that you are committed to taking the class. Only for some classes will it be charged at the time of registration (for example the Reiki classes), but for most we only have the number in case of a no show. We ask that you actually pay for the class when you check in for the class. We try very hard not to cancel a class, but sometimes we may need to. Subscribe to our mailing list to keep up-to-date on our class offerings. Many of our classes take place in the new Enchanted Awakenings Event Center. Click here to learn more!